Patch 1.07 has been released for NBA 2K Playgrounds 2. The latest title update addresses issues with player stats and challenges, which had occurred following the release of Patch 1.06. #Playgrounds2 online game modes are up and running again. This latest patch addresses recent issues players faced with player stats and challenges following the latest content drop, thanks for your patience. Stay tuned to find out more details about last week's update! No new content has been added in Patch 1.07, as it’s strictly a bug fix. As always, feel free to share any thoughts in the comments below, as well as join in the discussion here in the Other Basketball Games section of the NLSC Forum! If you’ve previously purchased the Roster Unlock DLC for NBA 2K Playgrounds 2, the new players will automatically be available to you. Opening packs will simply provide XP to level up the players that you pull. Unfortunately, Court Editor items must be unlocked via packs that cost Golden Bucks (the game’s premium currency). The changes to Challenges are quite welcome though, and their involvement with Safe Schools for Alex, in which they’re matching all donations up to $100,000, is very commendable. 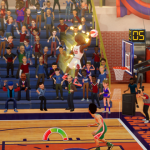 Got any thoughts on the latest patch, or NBA 2K Playgrounds 2 in general? Have your say in the comments section below, and join in the discussion here in the NLSC Forum! Patch 1.21 has come through for NBA Live 19. 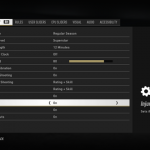 As with all official patches/title updates, it will be downloaded automatically as long as your PlayStation 4 or Xbox One has an active Internet connection. If it doesn’t, try restarting your console, or checking for the update manually. 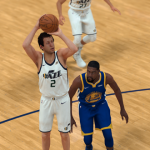 For a detailed update history for NBA Live 19, check out this article over in our Wiki. Feel free to add your thoughts in the comments section below, as well as in this topic in the NLSC Forum! 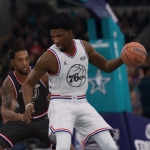 A new patch (1.20) has come through for NBA Live 19. As always, it should download automatically as long as your PlayStation 4 or Xbox One is online. If it doesn’t, try restarting your console, or checking for the update manually. There aren’t any detailed patch notes as of writing, but if any are released, I’ll be sure to update this post and the NBA Live 19 update history over in our Wiki. We can probably assume there are a few minor bug fixes (as listed under the generic patch notes on PS4), compatibility for upcoming LIVE Events, and possibly some new gear. In addition to Patch 1.20, NBA Live 19 has also received another content update. At a glance, it includes a couple more transactions, lineup changes, and ratings updates. Once again, if any detailed notes on the patch and content update come through, I’ll be sure to post them. In the meantime, feel free to share any thoughts in the comments below, as well as in this topic in the NLSC Forum! 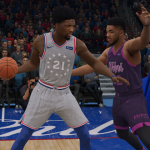 NBA Live 19 has received a new patch (1.19), as well as a content update. The patch should come through automatically as long as your PlayStation 4 or Xbox One has an active Internet connection, while the content update will be downloaded upon starting the game. 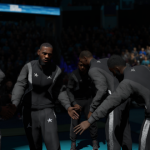 With the All-Star teams finalised and the trade deadline behind us, the NBA Live 19 development team has been quick to get out a roster update. Likeness updates have also been included in Patch 1.19, with new face scans for a couple of players, and hair and tattoo updates for others. Player accessories and shoes have been corrected, and new gear is now available in The One Store. The patch also features some gameplay tuning. 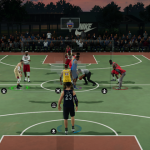 Steals have been toned down, while elite shooters have been nerfed slightly. See below for the full patch notes, or check out the update history for NBA Live 19 over in our Wiki. As always, feel free to share your thoughts in the comments below, as well as in this topic in our Forum. A new patch (1.05) has come through for NBA 2K Playgrounds 2. 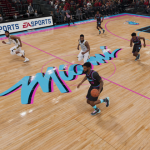 Billed as the All-Star Update, the patch adds a playground based on the 2019 All-Star court in Charlotte, as well as this year’s All-Star jerseys. 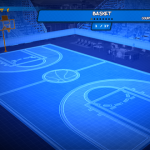 The playground is readily available to select, while the jerseys are custom gear that must be unlocked via the Swag Packs. Patch 1.05 also adds a Valentine’s Day playground, Daily Challenges, an unranked Championship mode, and 70 new players. It also addresses some technical issues and adds a listing of the current players’ challenges to the pause screen. Please see below for the full patch notes. 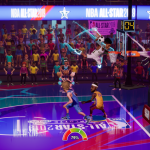 Feel free to add your thoughts in the comments section below, as well as join in the discussion about NBA 2K Playgrounds 2 here in the Other Basketball Games section of the NLSC Forum.